Vancouver's Vaisakhi parade begins at 11 a.m. on Saturday, while runners line up for the Sun Run Sunday morning. There is a lot of fun set to take place on Vancouver's streets this weekend, although perhaps not for people getting around by car. 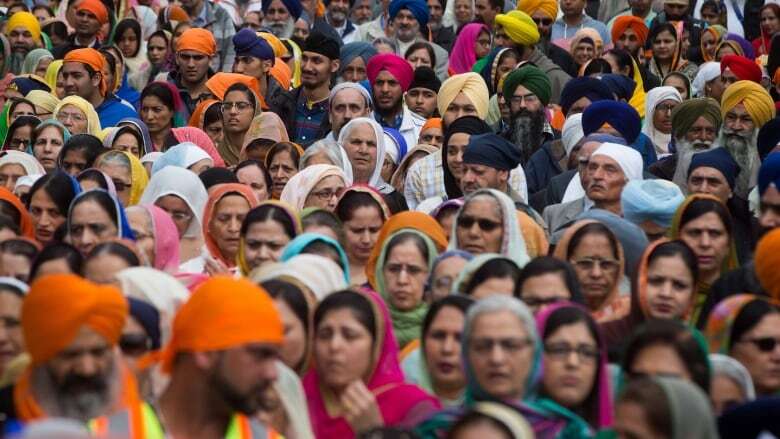 On Saturday, Vancouver's annual Vaisakhi parade and festivities will take place, while on Sunday, thousands of runners will participate in the country's largest annual 10 kilometre road race. The Vancouver Vaisakhi parade starts at the Khalsa Diwan Society at 800 Ross Street at 11 a.m PT on Saturday and goes until approximately 5 p.m. The parade route goes south along Ross Street to S.E. Marine, then heads west to Main Street, north to 49th Avenue, south on Fraser Street and ends back at Ross Street. Westbound S.E. Marine Drive from Ross to Main Streets. Main Street from Marine Drive to 49th Avenue. 49th Avenue from Main to Fraser Street. Fraser Street from 49th to 57th Avenue. East 57th Avenue from Fraser to Ross Streets. Ross Street from E 57th to S.E. Marine Drive. TransLink says there are several routes that are affected by the parade including the 3, 8, 49 and 100. On Sunday, road closures will begin in downtown Vancouver starting at 5 a.m. for the Vancouver Sun Run. The closures have various beginning and ending times but some go until 1:30 p.m.
More than 40,000 people will run either the 10 kilometre distance or another course offered by organizers. The 10K race starts on Georgia Street at Burrard at 9 a.m. Runners head west on Georgia Street and into Stanley Park, then along English Bay, across the Burrard Street Bridge, around Granville Island, into False Creek, then back over the Cambie Street Bridge before finishing behind BC Place. Here is the full list of road closures for the event. Next weekend is Surrey's turn to host a Vaisakhi parade and festivities. The Surrey parade starts at the Gurdwara Sahib Dasmesh Darbar Temple at 12885 85 Avenue at 9.30 a.m., April 20. It will wrap up at the same location at approximately 4 p.m.